1827-1977 An original one acre was deeded in 1827 by Allen and Susannah Baker. 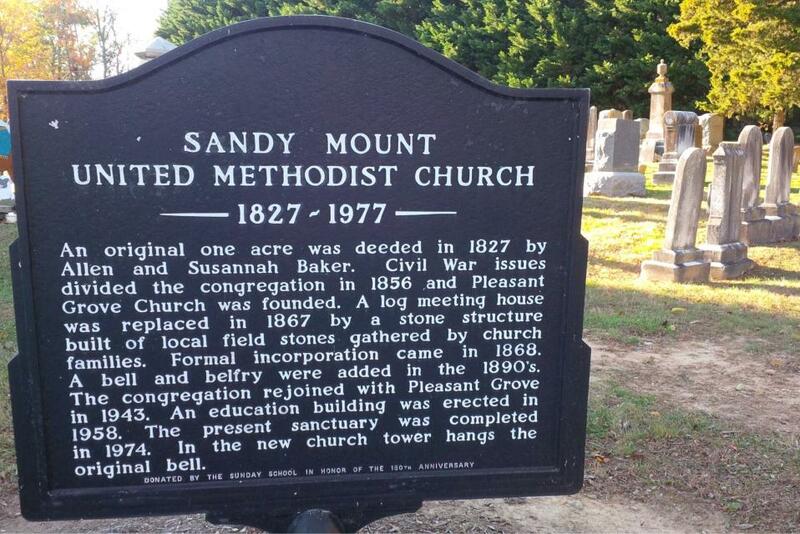 Civil War issues divided the congregation in 1856 and Pleasant Grove Church was founded. 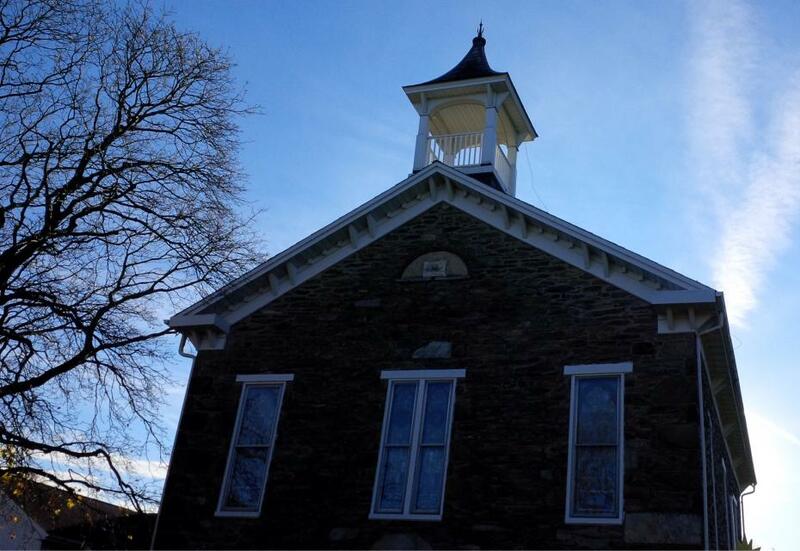 A log meeting house was replaced in 1867 by a stone structure built of local field stones gathered by church families. Formal incorporation came in 1868. A bell and belfry were added in the 1890's. 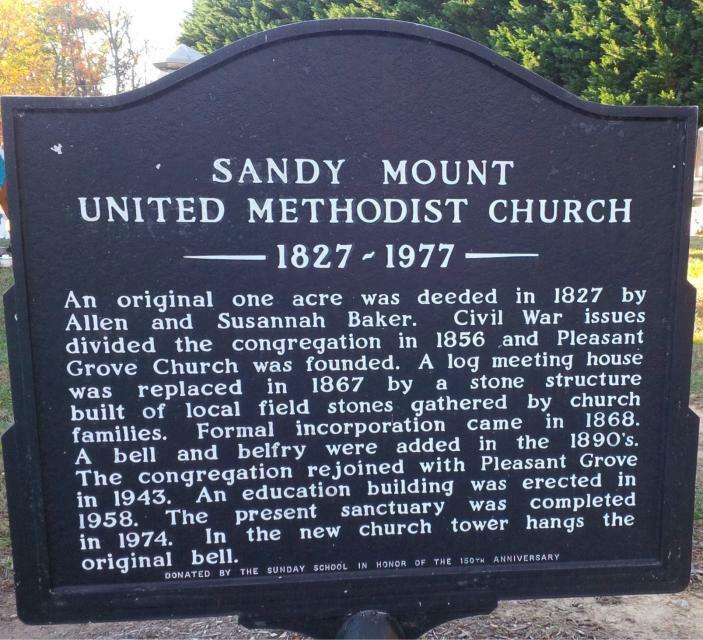 The congregation rejoined with Pleasant Grove in 1943. An education building was erected in 1958. The present sanctuary was completed in 1974. In the new church tower hangs the original bell. This marker can also be identified by its HM code. You can use the hashtag #HMOMH in tweets, and any other place where you might refer to this marker, including when searching on this site.